LED Lighting: What's LED Spotlights? We've discussed the difference between downlights and spotlights the day before. Then what's LED spotlights? Today I'm going to show you the answer. LED spotlights are spotlights which use light-emitting diodes as a light source. Traditional spotlights usually use more halogen lights, which have low luminous efficiency and short service life, consume more power, and causes high temperature to the exposure. LED spotlights are superior to traditional lighting products on many aspects, including light emitting principle, energy saving, and environment protection. The service life of LED spotlights is due to the LED and driver cooling section. In 2012, the service life of LED lighting reached more than 100,000 hours. With the continuous development of LED technology and its wide application the industry achieves an ideal state on drive and cooling section. Thus, high-quality LED spotlights' life can basically reach 10,000 to 50,000 hours, which is almost 10 to 50 times that of the ordinary halogen spotlights. LED lighting products save up to 80% energy, and are almost maintenance-free. Besides, there is no problem like regular replacement of lighting parts. Environment-friendly semiconductor light source promises a soft light and pure spectrum, which is a good protection of people' eyesight and physical health. As the structure of LED spotlights is more complex than the halogen spotlights', LED spot light's price is higher than that of halogen lights', even put into a mass production. But nowadays, more and more people gradually understand and accept LED spotlights and its price. If you think it over, you will find that the energy-cost on LED spotlights is less than you spend on traditional lights. LED spotlights are mainly used for decoration, commercial lighting, and architectural lighting. They're excellent in lighting decoration. The lights can achieve many lighting effects, like gradual changing, transition, color flashing, random flashing, alternating gradient and chasing, etc.. LED spot lights can be used either independently or with other lighting, such as LED underwater lights, LED underground lights, LED wall washer, etc. They're mainly used for indoor or outdoor lighting of historic buildings, landscape, billboard, other special facilities, as well as bars, discos and other entertainment places. 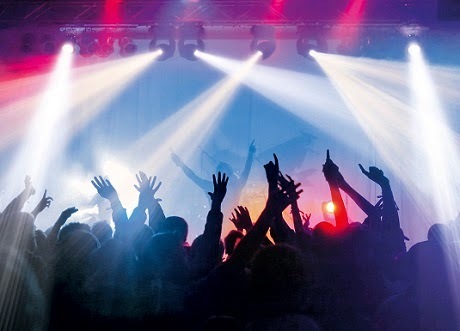 "Features and Advantages of LED Spotlight"